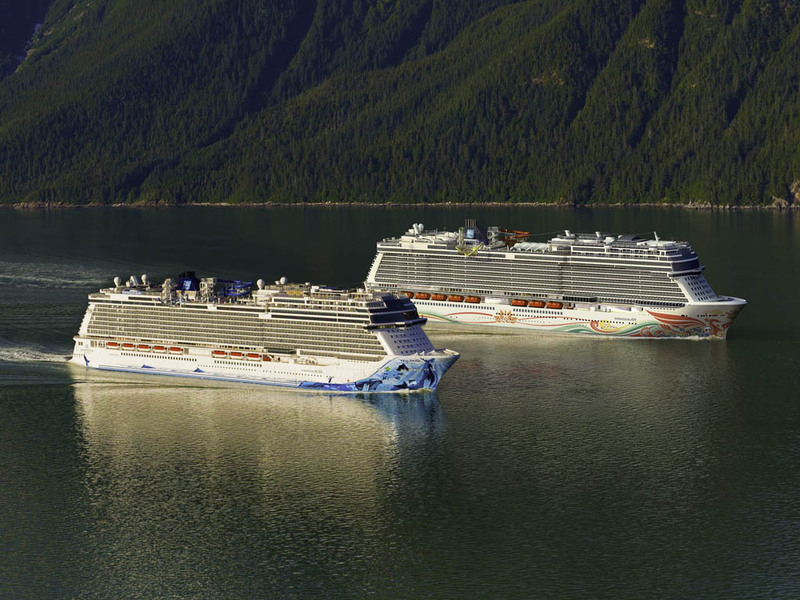 Norwegian Cruise Line recently announced that Norwegian Joy will cruise Alaska in summer 2019, joining her sister ship Norwegian Bliss, the newest and most successful ship in the cruise line's 51-year history. Norwegian Joy will sail seasonally in Alaska in summer 2019 and will offer Mexican Riviera and Panama Canal cruises in winter 2019/2020, offering a selection of year-round itineraries on the West Coast. Norwegian Joy will reposition to Seattle in April 2019 where she will join Norwegian Bliss and Norwegian Jewel and offer seven-day cruises to Alaska. Prior to her arrival in Seattle, she will undergo significant upgrades to enhance her already popular features and bring her designs and offerings to be nearly identical to those of Norwegian Bliss. To complement Norwegian Bliss’ itineraries and provide guests with more places to explore and experience the natural beauty of Alaska, Norwegian Joy will cruise a variety of itineraries featuring port stops in Juneau, Ketchikan, Skagway, Holkham Bay, and Icy Strait Point, which is long recognized for its untouched wilderness, rich authentic culture, and fresh seafood. She will also call into Victoria, British Columbia. "Norwegian Cruise Line expanded the Alaska cruise experience as the first cruise line to sail to the state from Seattle over 24 years ago," said Andy Stuart, president and chief executive officer of Norwegian Cruise Line. "I am extremely excited to further strengthen our presence in the region with the addition of Norwegian Joy." “With $50 million in enhancements including the addition of a Starbucks® store and enhanced restaurant, bar venues, and new entertainment options, Norwegian Joy will be a welcome addition for guests looking to cruise on a world-class ship in one of the world’s most sought-after destinations." He continued, "On these sister ships, guests will experience incredible ocean and glacier views from our stunning observation lounges and they’ll have access to the best-of-the-best at sea, with entertainment options including Norwegian Joy’s Galaxy Pavilion, which features thrilling simulator rides and interactive video walls, as well as our race tracks and laser tag arenas available on both ships." Norwegian Cruise Line’s 2019 Alaska cruises and cruisetours are now open for sale.